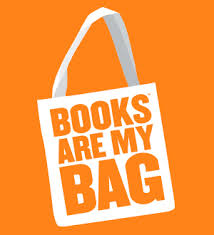 Today in the UK, it’s Books are My Bag day. All over the country, readers, booksellers and authors are getting together to host the nation’s Big Bookshop Party, in shops throughout England, Wales, Scotland and Northern Ireland. To mark this auspicious day, I have taken the opportunity to interview myself about my book-ey thoughts. What Do You Think About Books Are My Bag? The idea is to get the public supporting their local high-street bookshop – whether an indy or a chain like Waterstones – which under threat for reasons which are so well-known they don’t need reciting here. Sure, in a time of recession, people want to get a bargain. But cheap books online come with a price, the most pernicious of which is that the closer the retail book market gets to a monopoly, the less choice we will all have and the more timid and unadventurous publishers will become in supporting and promoting that off-the-wall title which won’t be mainstream but it will delight all those on the edge of mainstream who read it. We already live in a world of dumbed-down crap in so many ways. Why make books the next thing in life to make you turn away with indifference and disgust? 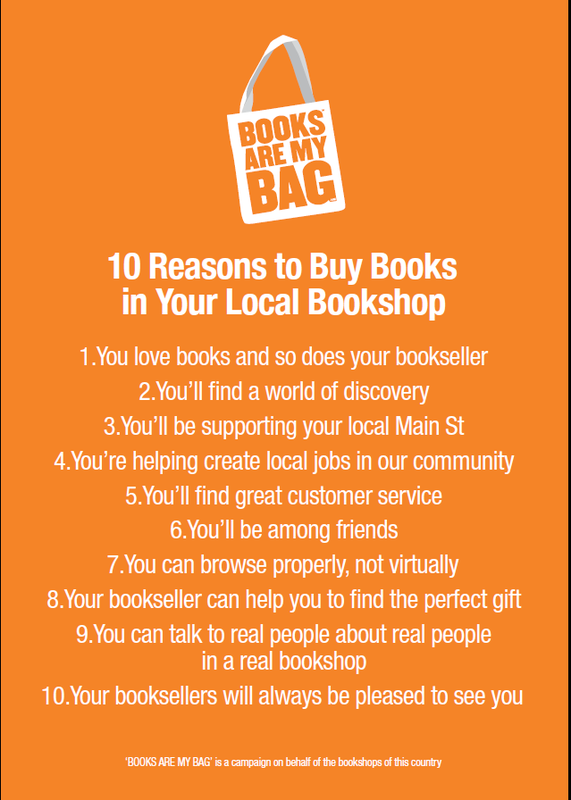 If you know you’re going to struggle financially buying all your books in a high street shop, why not make a resolution to buy at least every other book, or one book out of three there? Every little bit helps. What Are You Nearest Bookshops? And of course the grand-daddy of them all, Blackwells in Oxford, one of the most famous bookshops in the world, where I am quite often to be found on a Sunday afternoon. What Are Your Best Book Memories? I have lots. The thrilling anticipation of buying the next Enid Blyton Mallory Towers book from the local newsagent, aged 7 or 8. Discovering The Hound of the Baskervilles aged 9 at the local library in the adult section I wasn’t supposed to read from yet. The Saturday job I had in my year off before university in the local bookshop where I learned a lot about human nature. The Italian guidebook I dropped into a puddle on a quayside bar in Venice, and forever after its pages were crinkled and bobbly with the dried salt from the lagoon. The favourite comfort books which I crawl into bed with when I have a filthy cold, along with my favourite ‘I’m feeling rotten’ pyjamas. I still love the Hound of the Baskervilles and I read medieval history at university, so put those together and you get The Name of the Rose by Umberto Eco. Like all great books, each time I re-read it (at least once a year) I find new connections, new layers, new ironies I hadn’t noticed before. The film was rubbish, by the way. The Land Where Lemons Grow by Helena Atlee. Part travelogue, part history of Italy, part horticultural book, it is a wonderful read about the social history of citrus fruit. As you may have gathered, there is a rather an Italophile slant to my reading! Rather like buying a puppy for Christmas, remember that high street book shopping is not just for this weekend, it’s for life.